The Appalachian Mountain Range is an ancient band of mountains that stretches in a southwestern arc from the Canadian province of Newfoundland to central Alabama, the heart of southeastern United States. The highest peak in the Appalachians is Mount Mitchell (North Carolina) which lies at an elevation of 6,684 feet (2,037meters) above sea level. 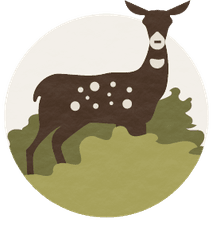 The wildlife you might encounter in the Appalachian Mountains includes a wide variety of mammals (moose, white-tailed deer, black bears, beaver, chipmunks, rabbits, squirrels, foxes, racoons, opossums, skunks, groundhogs, porcupines, bats, weasels, shrews, minks), birds (hawks, woodpeckers, warblers, thrushes, wrens, nuthatches, flycatchers, sapsuckers, grouses), and reptiles and amphibians (frogs, salamanders, turtles, rattlesnakes, copperheads). The Appalachians were formed during a series of collisions and separations of tectonic plates that began 300 million years ago and continued through the Paleozoic and Mesozoic Eras. When the Appalachians were still forming, the continents were in different locations than they are today and North America and Europe had collided. The Appalachians were once an extension of the Caledonian mountain chain, a mountain chain that is today in Scotland and Scandinavia. Since their formation, the Appalachians have undergone extensive erosion. 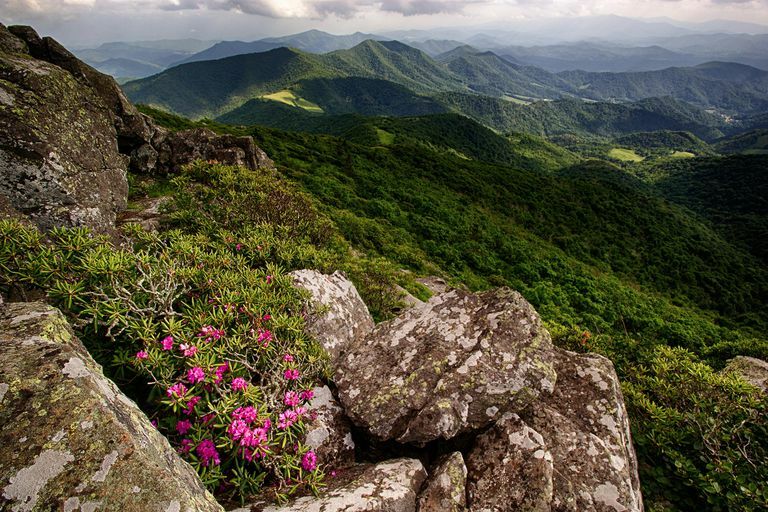 The Appalachians are a geologically complex range of mountains that are a mosaic of folded and uplifted plateaus, parallel ridges and valleys, metamorphosed sediments and volcanic rock layers.